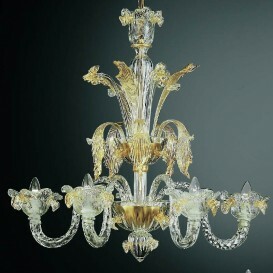 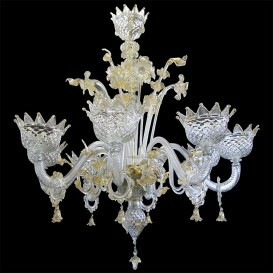 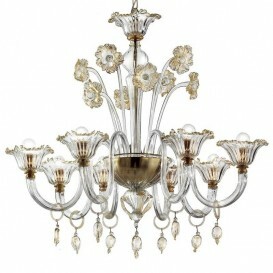 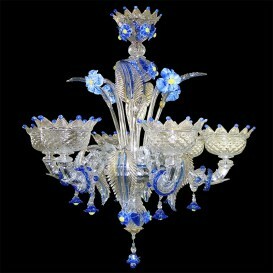 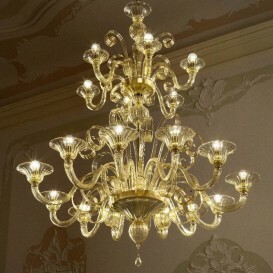 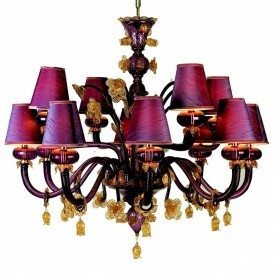 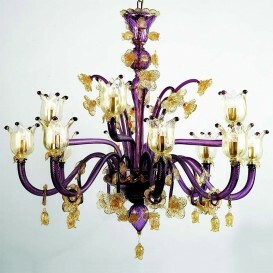 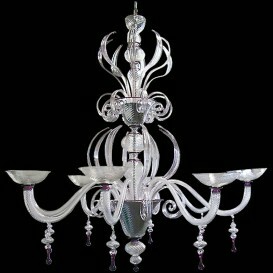 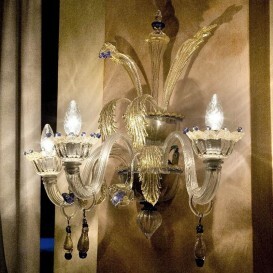 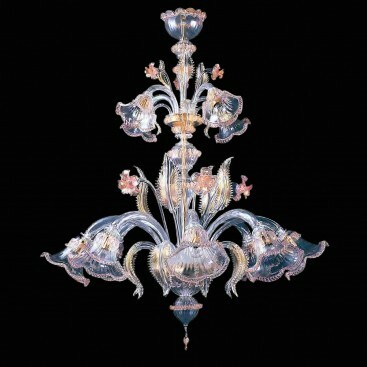 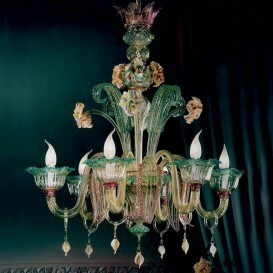 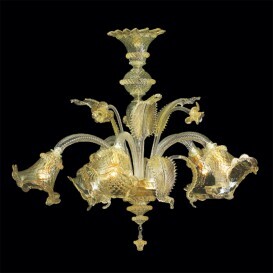 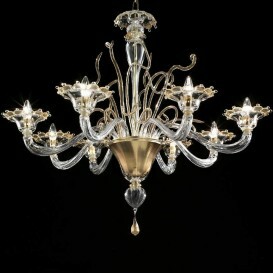 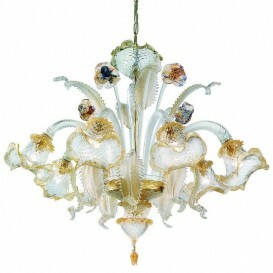 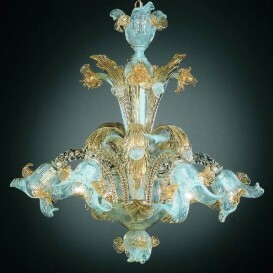 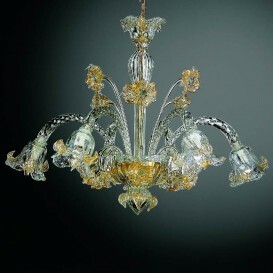 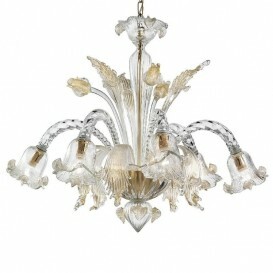 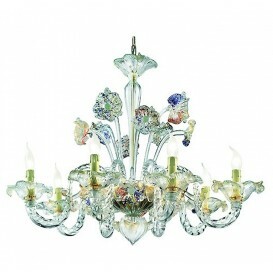 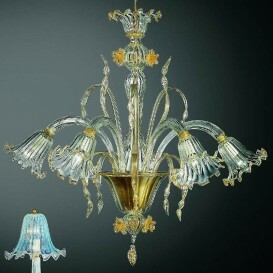 Artistic glass chandelier in pink crystal with delicate decorations in 24 carat gold. 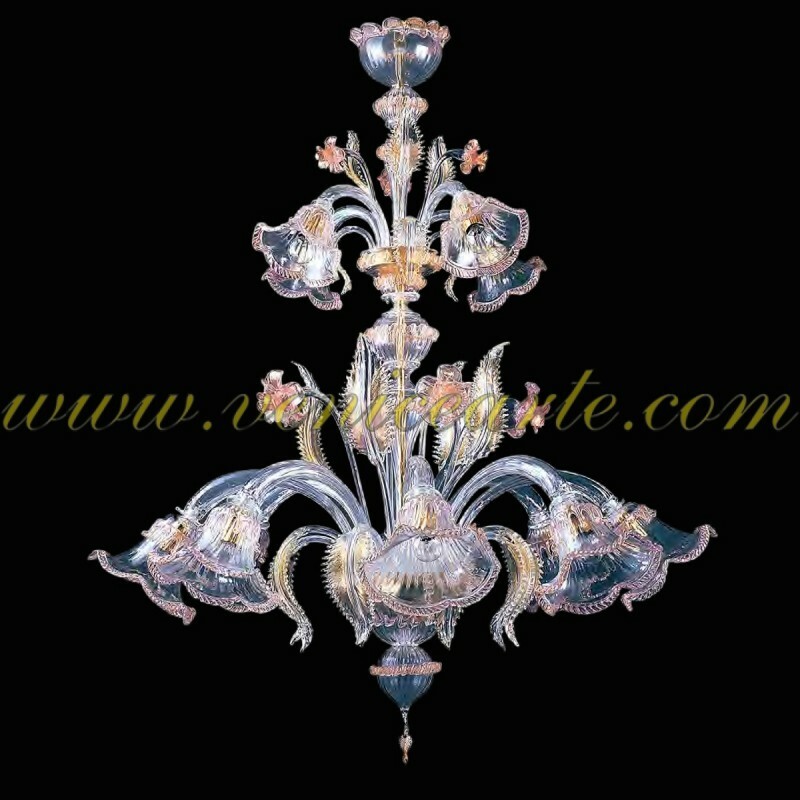 Straight line processing in a three-lobed cup, all handmade according to the ancient tradition of Murano. 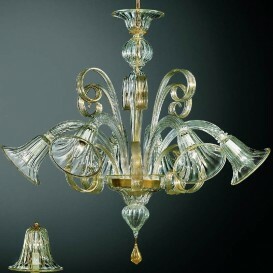 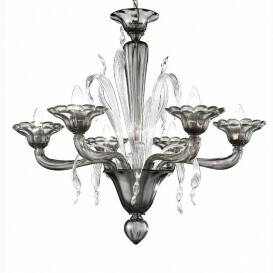 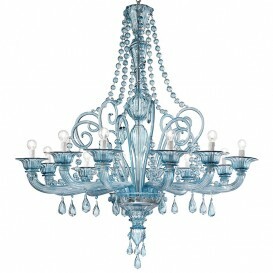 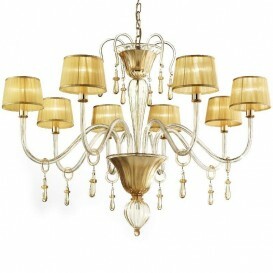 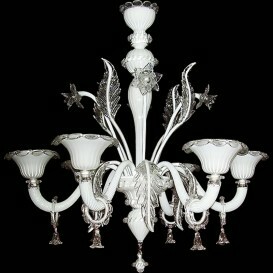 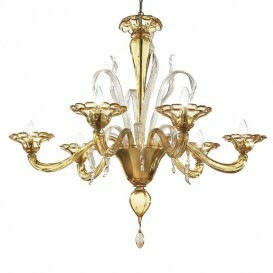 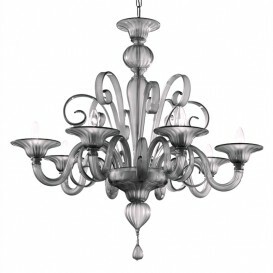 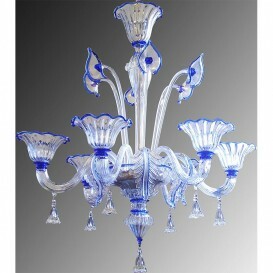 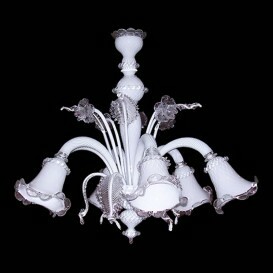 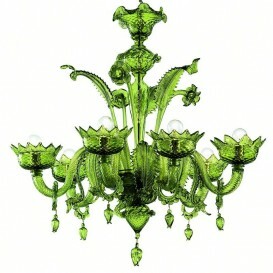 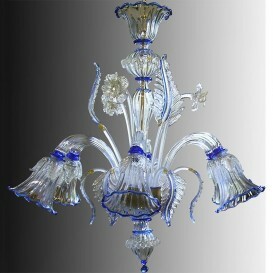 Available in various versions and types of glass, choose the chandelier best suited to your environment. 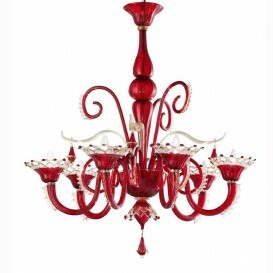 Also sizes and colors on request.